Non-celiac gluten sensitivity can affect nearly every system in your body, with symptoms that include digestive effects, skin problems such as rashes, brain fog, joint pain and numbness in your extremities, according to physicians who are researching this condition. If you think those symptoms sound a lot like symptoms of celiac disease, you're absolutely right. In fact, it's impossible to distinguish between gluten sensitivity and celiac disease on the basis of symptoms alone—the two conditions present with near-identical symptoms, experts in gluten sensitivity say. To make matters even more confusing, celiac disease and non-celiac gluten sensitivity are not the only types of "gluten allergies" it's possible to have. There are, in fact, five different types of "gluten allergy," and a wide variety of signs indicating you may have a gluten problem. And in fact, it's quite possible that the culprit in "gluten sensitivity" isn't even gluten at all. Some scientists speculate that people with non-celiac gluten sensitivity actually are reacting to another compound in wheat, such as fructans (a complex carbohydrate that can cause symptoms in people with irritable bowel syndrome) or amylase trypsin inhibitors (which are proteins). Research into all of this is ongoing, and doctors should have a much better idea of what's going on within the next few years. Back to non-celiac gluten sensitivity: since research into this condition is relatively new, not all physicians have accepted it as a "real" condition. Consequently, not all will provide patients with a diagnosis of gluten sensitivity. Those practitioners who will diagnose the condition will conduct celiac disease testing and rule out celiac first, prior to saying a patient has gluten sensitivity. Still, recent medical research on gluten sensitivity has strengthened the theory that it's a separate condition from celiac disease. Celiac is caused by your body's reaction to the gluten protein found in wheat, barley and rye. It's less clear what exactly causes gluten sensitivity—in fact, as we discussed above, it may be a non-gluten component of wheat and the other gluten grains (which may make "non-celiac wheat sensitivity" a better name for it). Nonetheless, most medical researchers continue to refer to the condition as "non-celiac gluten sensitivity," at least for now. 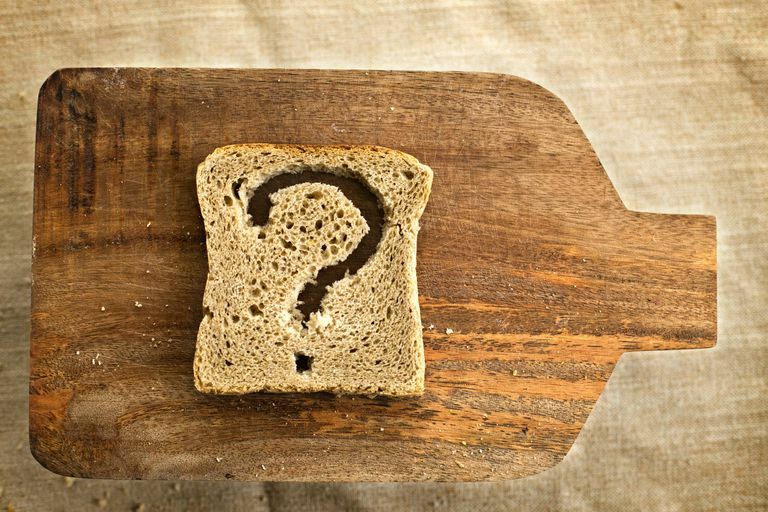 To get a better picture of the most common symptoms found in gluten sensitivity, Verywell Health spoke with three physician researchers who have spent a great deal of time studying the condition: Dr. Alessio Fasano, Dr. Kenneth Fine, and Dr. Rodney Ford. The three discussed their own clinical experience involving patients with gluten sensitivity. It should be noted that in some cases, their opinions haven't been confirmed in published research or accepted by the medical community at large. Digestive gluten sensitivity symptoms are very common, according to physicians who have researched it and treated patients with the condition. Dr. Fine, who founded Enterolab and its gluten sensitivity testing program, says most people he's diagnosed with gluten sensitivity have "some GI symptoms — anything from heartburn to constipation. Diarrhea is classic, also bloating is classic, [and] passing gas is pretty common." Dr. Rodney Ford, a Christchurch, New Zealand-based pediatrician and author of The Gluten Syndrome, was the first to hypothesize that gluten sensitivity is primarily a neurological condition. "It's very clear that with gluten, one of its main target organs is neural tissue," Dr. Ford told me. Dermatitis herpetiformis (DH) is the skin condition most commonly associated with celiac disease (if you have dermatitis herpetiformis, you also have celiac disease if you have positive celiac blood test results). However, people with gluten sensitivity frequently exhibit various rashes and other skin conditions that clear up when they go gluten-free, according to the researchers' experience. Dr. Fasano says he's seen many skin rashes in people with non-celiac gluten sensitivity. "It's not DH—it's more eczema-like," he explains. In fact, there is some evidence that eating gluten-free may help with eczema, even in people who don't necessarily have celiac disease. Both Drs. Ford and Fine agree that your skin can suffer if you're gluten-sensitive, with rashes and other skin symptoms. The symptoms disappear when the person's following a gluten-free diet and reappear in the case of a glutening. Like celiac disease, gluten sensitivity may cause symptoms that involve your endocrine system, such as infertility and thyroid disease, Dr. Fine says. He also sees gluten-caused asthma in some people with gluten sensitivity. In addition, Drs. Fine, Fasano and Ford all note that many people experience anemia, joint pain and tingling/numbness in their extremities from gluten ingestion. Both also are common celiac disease symptoms. Of course, recognition of gluten sensitivity as a possibly separate condition from celiac disease and irritable bowel syndrome is quite new, and there's no major research to link any of the above-mentioned symptoms conclusively to gluten sensitivity (even the depression study hasn't yet been replicated). Many physicians discount reports of non-celiac gluten sensitivity, and will tell their patients that they don't have a problem with gluten if they test negative for celiac disease. There's also no explanation of why the symptoms of gluten sensitivity and celiac disease mirror each other so precisely. However, Dr. Ford has a theory: He believes that the symptoms of gluten sensitivity and celiac disease are identical because gluten is causing the symptoms directly in both groups of people, and that intestinal damage doesn't play a significant role in causing symptoms. In other words, even though celiacs get villous atrophy and people who are gluten-sensitive do not, he believes that both groups get direct symptoms from gluten that are unrelated to intestinal damage. "Villous atrophy is a diagnostic tissue test for celiac, but it has little to do with the symptoms you get when you eat gluten," Dr. Ford said. "Gluten sensitivity is primarily a neurologic disease. The gastrointestinal symptoms are caused by an irritation to the autonomic nervous system—that's the involuntary system that runs your heart, lungs and gut. When you go into autonomic overload from gluten, you get those symptoms." None of this information about non-celiac gluten sensitivity symptoms has been proven in clinical studies as of yet; at the moment, it just represents the opinions of physicians who are researching the topic. However, as research continues, we will hopefully learn more about these symptoms and who might be most susceptible to them. Biesiekierski J et al. Gluten Causes Gastrointestinal Symptoms in Subjects Without Celiac Disease: A Double-Blind Randomized Placebo-Controlled Trial. American Journal of Gastroenterology. Published online Jan. 11, 2011. doi: 10.1038/ajg.2010.487. Elli L et al. Evidence for the Presence of Non-Celiac Gluten Sensitivity in Patients with Functional Gastrointestinal Symptoms: Results from a Multicenter Randomized Double-Blind Placebo-Controlled Gluten Challenge. Nutrients. 2016 Feb 8;8(2). pii: E84. Fasano A et al. Divergence of gut permeability and mucosal immune gene expression in two gluten-associated conditions: celiac disease and gluten sensitivity. BMC Medicine 2011, 9:23. doi:10.1186/1741-7015-9-23. Fasano A et al. Spectrum of gluten-related disorders: consensus on new nomenclature and classification. BMC Medicine. BMC Medicine 2012, 10:13 doi:10.1186/1741-7015-10-13. Uhde M et al. Intestinal Cell Damage and Systemic Immune Activation in Individuals Reporting Sensitivity to Wheat in the Absence of Coeliac Disease. Gut. 2016. doi:10.1136/gutjnl-2016-311964.